Имате въпрос към Suja Holiday Niche? 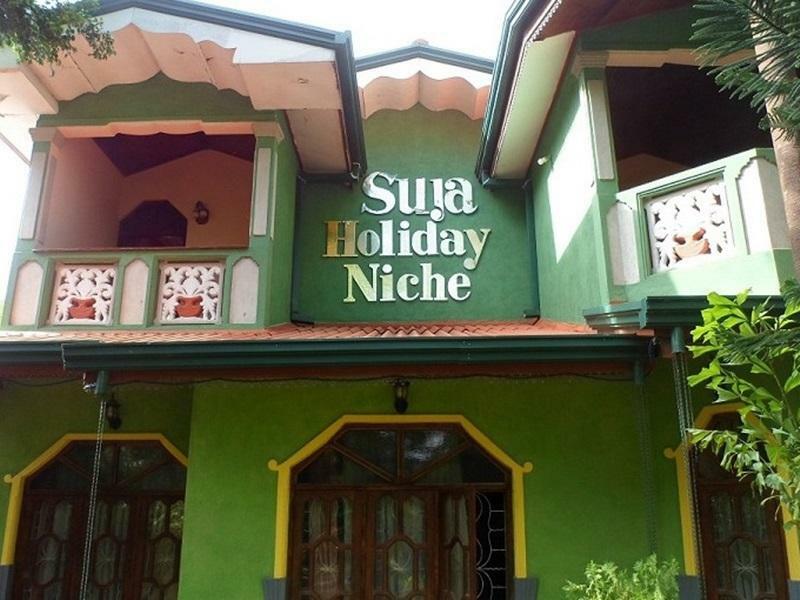 Построен през 2007, Suja Holiday Niche е важно допълнение към Полонарува и разумен избор за пътуващи. Вълнуващият център на града е само на 3 km оттук. С удобното си местоположение хотелът предлага лесен достъп до всички градски забележителности, които задължително трябва да се видят. Съоръженията и услугите предлагани в Suja Holiday Niche гарантират Вашия приятен престой. Подбор на съоръжения от най-висока класа като 24-часов рум-сервиз, безплатен WiFi достъп във всички стаи, станция за зареждане на електрически коли, Wi-Fi връзка в общите части, паркинг, са на разположение за Вас в хотела. Хотелът се характеризира с 6 стилно обзаведени стаи за гости, в някои от които ще намерите телевизор с плосък екран, достъп до интернет (безжичен), безжичен интернет достъп (безплатен), климатик, събуждане. Хотелът предлага прекрасни развлекателни съоръжения, такива като градина, които ще направят престоя ви незабравим. Открийте интригуващата комбинация от професионално обслужване и широка гама удобства в Suja Holiday Niche. The place is actually in the town next to Polonnaruwa, a 7-minute drive away. However, the hotel is on the bus line, so there are plenty of buses to take you to the city or the entrance of the ancient city. Also, I was able to catch the bus to my next destination in front of the hotel. Breakfast is great and filling; the wifi works well, and there was drinking water. The only downside is that the room is poorly ventilated, so it is extremely hot inside during the summer. Therefore, consider getting an air-conditioned room, even if you typically are fine with just a fan. We had an excellent stay at Suja. 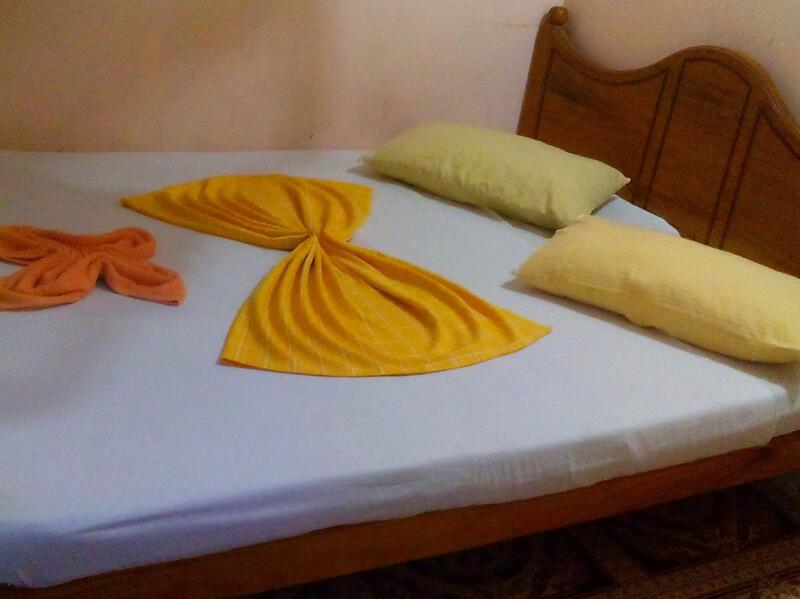 Rooms were clean and very reasonably priced. The owner is very friendly and drove us around Sigiriya and Dambulla for a very fair price. The food was also fantastic and they happily catered for vegans/vegetarians. We could not recommend this place enough for the budget traveller. It was great getting to know you Sumith! We stayed only for one night and we couldn' t have asked for more, the room was really big,very comfortable beds, delicious food, both breakfast and dinner. 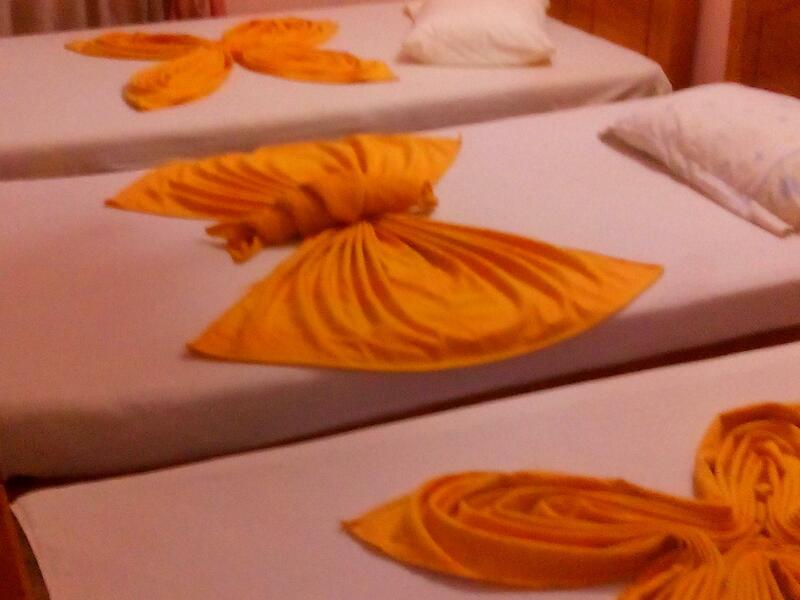 One very kind staff member stopped a bus to Kandy for us, totally recommend this place! The gentlemen who run this are friendly, kind, funny and very helpful. From the minute I stepped out of the tuk tuk they were trying to make sure that I was getting a good deal to tour the temples, and that I knew what going rate was for rides to the bus station, etc.--really watching out for me. The food was delicious and they were a lot of fun to get to know! I'll be back if I come this way again. Considering the reasonably priced rooms, the staff at Suja were fantastic and really helpful with tips for sightseeing. Breakfast and dinner were also lovely and the friendly staff helped make it one of our favourite accommodations of the trip. I had a pleasant stay at suja. If they invested just a little more effort in cleaning the room it would be even much better value. Food was plenty, cheap and good. My biggest complaint would be the bike i rented, because it was in a bad condition. This place has potential! Everything would be ok if one of the staff members. When I got to the hotel, he started telling me I was beautiful and if I was married. Since then he kept knocking on my door at all times, at 21.00 he came to my door and wanted to enter - I asked him why and he said he will give me a massage. Of course I did't let him in. Because of him I felt unsafe, scared at this place. I strongly suggest the manager of the hotel to get rid of this person. And the location is bad too. The staff we are very helpful in arranging my trip around the ruins. They also went out of their way to make sure I caught a bus from the correct stop. Pleasant. A good location just outside of Polonnaruwa. Friendly and helpful staff (I can't reiterate that enough). The one negative is I feel that the place would benefit from a good clean. Otherwise can't recommend this hotel enough!